Today, I am so excited to be partnering with Walgreens to spread the word about Red Nose Day. How lucky are we to live in a life where we don't have to worry about life's essentials? Unfortunately that is not the same for every one. So many things that we take for granted on a daily basis are also things that many kids in the US and internationally are deprived from. Which is why, as a mom of two small kids I make it my mission to raise children who are kind to everyone, socially responsible and always making sure that they know how lucky and blessed they are. We don't have luxuries but we do have everything we need and sometimes it is easy to take those things for granted. We don't realize how our resources such as water, access to medicine, education and a safe place to live are truly privileges, until you start to think of other children who live in poverty and struggle to obtain these things. Being socially responsible and kind is a great place to start but we have to do more and activelyhelp others in order to see a better world not just for us but for the future of our children. I am happy to share that I have partnered with Walgreens for their iconic Red Nose Day mission. 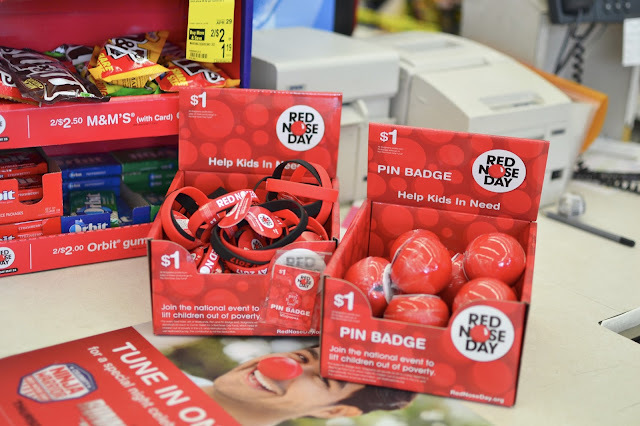 Walgreens makes getting involved in this fun-fueled campaign easy and convenient, with red noses available for purchase exclusively at Walgreens and Duane Reade for $1 beginning April 17. For every Red Nose sold between April 17, 2017 and June 3, 2017, Walgreens will donate $0.50 each to Comic Relief Inc.’s Red Nose Day Fund, which helps lift children out of poverty in the U.S. and internationally. (This contribution is not tax deductible.) 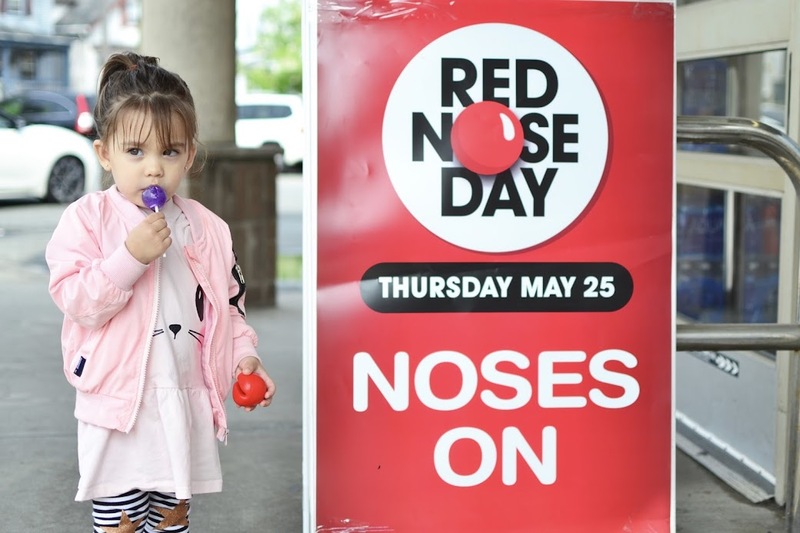 These are the non-profit organizations that the Red Nose Day Fund supports: the Boys & Girls Clubs of America; charity:water; Children’s Health Fund; Feeding America; Gavi, The Vaccine Alliance; National Council of La Raza; Save the Children; and The Global Fund. You can visit Walgreens.com/RedNoseDay and the Walgreens Facebook, Twitter and Instagram channels for more information. Make sure that from now until June 3rd you visit your local Walgreens and pick up one (or three! ☺) red noses for you and the family, you can even make it fun and bring them to your child's class. 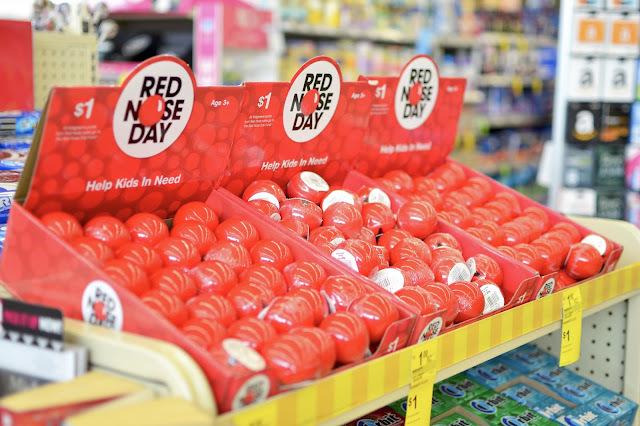 Each nose is just $1 and $0.50 will be donated to Comic Relief Inc.’s Red Nose Day Fund. Help me help lift children out of poverty. For each meal we eat in our cozy warm homes, we know nothing of what other children are suffering both at home in the U.S. and internationally. Make sure to get your kids involved and teach them the importance of helping others and how this small donation and help can truly change another child's life. Stay tuned on all Walgreen's social channels for fun events and information about how you can get involved until June 3. When you pick up your nose make sure to tag #RedNose on social media and participate on the weekly challenges. My kids loved the red noses and I loved knowing that we can help others in need while teaching Ben and Emme some very valuable life lessons.